Be the first to share your favorite memory, photo or story of Nokie. This memorial page is dedicated for family, friends and future generations to celebrate the life of their loved one. Virginia, leaves behind her husband Leo Hernandez, several children, grandchildren, great- grandchildren, other relatives and many friends that all truly love her so very much. 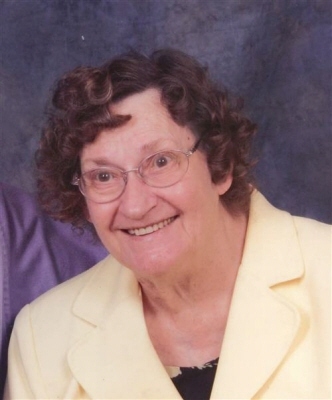 Virginia also was a member of Mt Olivet Church where she felt great comfort in being surrounded by such loving people that she also called her family. We truly thank God for her true relationship and walk with Him. We praise God for His Promise of eternal life and we Thank Him for her. We will all miss her and her beautiful smile that made us all feel loved. A funeral service will be on Saturday, February 9, 2019 at 1:00 PM at Mt. Olivet Baptist Church, located at 121 Old Mt. Zion Road, Lewisburg, KY 42256, with Bro. Raleigh Blancett and Bro. Jimmy McIntosh officiating. The family will receive friends from 12:00 PM until the time of the service on Saturday at Mt. Olivet Church. Interment will be at Mt. Zion Cemetery, 121 Old Mt. Zion Road, Lewisburg, KY 42256. To plant a tree in memory of Nokie Virginia Hernandez, please visit our Tribute Store. "Email Address" would like to share the life celebration of Nokie Virginia Hernandez. Click on the "link" to go to share a favorite memory or leave a condolence message for the family.